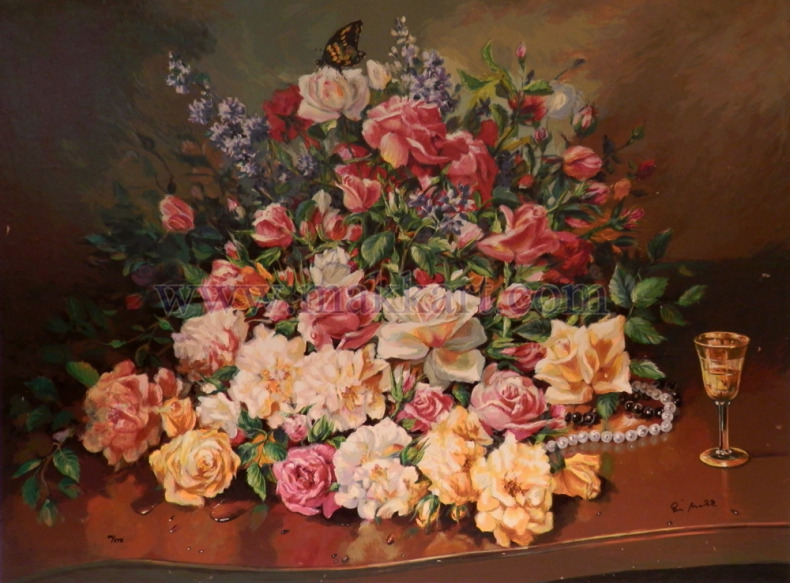 Eva Makk enjoys roses immensely and paints them so perfectly in her still life paintings. If you look closely, you can see the Monarch butterfly perched atop a rose. The black and white strands of pearls mingle with the flowers alongside an elegant glass of wine. The table not only shows the reflection of the flowers, but also the droplets of water perfectly painted! It looks so real! !